I like the semi-boneless ham, but these simple instructions apply to any half-ham. 1. Place the ham cut side down in a foil lined roasting pan and gather the foil up around the ham. 2. Bake at 325° for 20 minutes per pound. 3. Allow to rest for another 20 minutes before carving. 4. NEVER throw the bone away. Use it to make a broth for soups or beans. 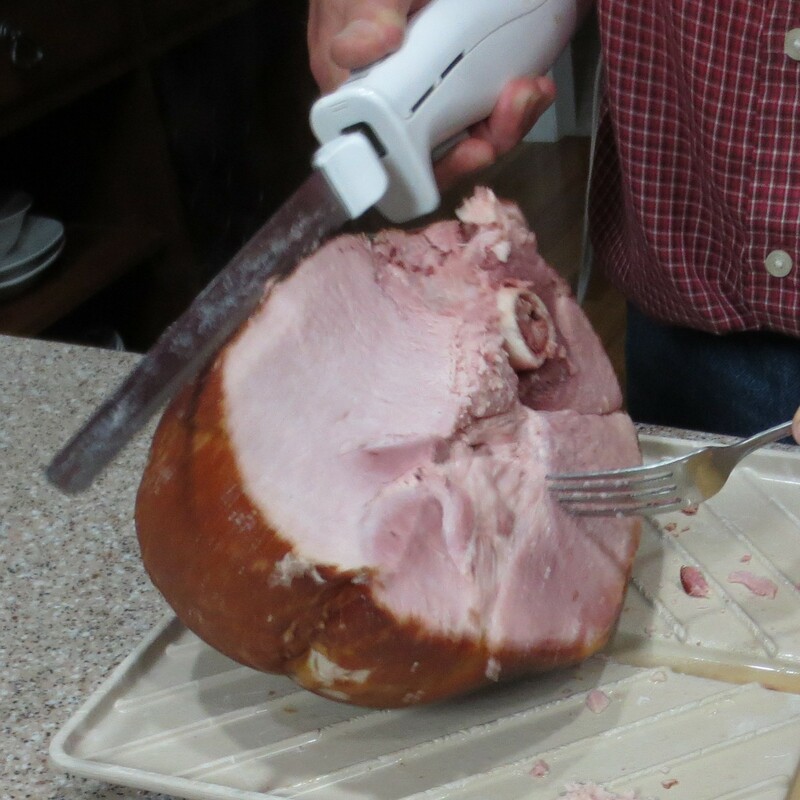 Subtract this time from when you plan to eat and you will know what time to put the ham in.